I have been studying the vaccination topic both formally and informally since 1993 when I vaccinated my first child. Like most people questioning vaccines, I have not come from an anti-vaccination position and the debate is not about pro- or anti-vaccination. It is about the safety, efficacy and necessity for each vaccine on the schedule. Are they all safe? And are they all effective and necessary? In 2015 I completed a PhD at the University of Wollongong answering these questions. My thesis is titled ‘A critical analysis of the Australian Government’s rationale for its vaccination policy.’ In Chapter 7 I present a discussion of the claims made by the government about the safety and efficacy of vaccines that are not supported by scientific evidence. Here is a link to this Chapter titled “The Evidence Underpinning Claims about Vaccines” After completing this in-depth research I am choosing not to use all the vaccines that are recommended by the government and I am promoting the right for this medical intervention to be a free and informed choice. This means without financial coercion or manipulation. I have adopted this position because the government has not provided evidence to support the claim that these vaccines are necessary or that they have been proven safe and effective using proper placebo controlled clinical trials. The Australian government is making claims about the safety and efficacy of vaccines that are unsupported by hard scientific evidence. In 2007 I also completed a Master of Science (Population Health) in the Faculty of Health at UOW and this included a major research project on the use of the whooping cough vaccine to control whooping cough in Australia. My research demonstrated that the whooping cough vaccine was introduced after the decline of deaths and serious illness to whooping cough in Australia (1950) and that the vaccine does not prevent vaccinated people from getting whooping cough. Here is a link to this research titled “An Analysis of the Federal Government’s Pertussis (Whooping Cough) Immunisation Policy“. I have also provided a link to a summary of this research that was published in the Public Health Association of Australia’s (PHAA) newsletter in April 2009 – An Analysis of Whooping Cough Incidence: Is the vaccine effective? Whilst Peter McIntyre, director of the government’s vaccination research and surveillance unit (NCIRS), published a comment beside my referenced article with claims countering the evidence I presented, he did not provide a fully referenced copy of his claims made in the PHAA newsletter in 2009. The University of Wollongong published my PhD thesis on its website in January 2016 but prior to publication it requested that I remove 3 Appendix’s before publication. UOW cited ‘copyright reasons’ for this request. However, these Appendix’s contained publicly available information and when I challenged the University the decision was reversed and it published the full thesis in March 2016. The information that UOW wished to remove included Appendix 1: The Ingredients of Vaccines (Reference: The Australian Immunisation Handbook (Ed 9 and 10), Appendix 2: Case Study on Thimerosal (Mercury compound) in Vaccines and Appendix 3: The Australian Government NIP (Reference: Australian Government’s Immunise Australia Program (IAP) website (2013). The potential financial Conflicts of Interest (COI) were also removed from my thesis even though the government is required to publicise these interests on their website. Many government representatives on vaccine policy advisory boards have COI with pharmaceutical companies. This includes the chairman of the Australian Technical Advisory Group on Immunisation (ATAGI) from 2005 – 2014, Terry Nolan, and the directors of the National Centre of Immunisation Research and Surveillance (NCIRS) from 2004 – 2015, Robert Booy and Peter McIntyre. The public is entitled to be informed that these potential COI exist for individuals who directly advise the government on policy. The COI for members of the Australian government’s vaccine advisory boards were not presented on the government website until 2015 after parents pressured the government to publish them. During the last decade I have attempted to debate my academic research but the media will not report the other side of the vaccination debate. Whilst attempting to debate my research in public forums since 2010 I have been attacked by consumer lobby groups, in particular the Australian Skeptics Inc and the Stop the Australian Vaccination Network (SAVN). Another lobby group is the Friends of Science in Medicine. Many of these lobby groups are not scientific organisations, e.g. the Australian Skepitics Inc and SAVN, and they promote industry interests in vaccination policies by misrepresenting academic research to the public. This has been documented in many articles by my supervisor, Brian Martin. 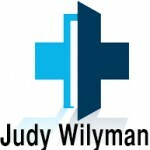 Here is a link to one of his articles summarising these attacks: ‘Judy Wilyman, PhD: how to understand attacks on a research student.’ Media censorship on this issue is also preventing proper debate of this health issue in Australia. Here is a letter that I sent to the president of the Human Rights Commission (Gillian Trigg), in September 2015, before the government implemented mandatory vaccination policies in its Social Welfare Bill. The Human Rights Commission did not answer this letter. Further, in 2015 the Minister for Health, Sussan Ley, and the Minister for Social Services, Christian Porter, would not attend a public forum to present the reasons for the necessity for the No Jab No Pay legislation that was implemented in Australia January 2016. I have a Bachelor of Science degree and I have practised as a science teacher for 20 years. In 2004 I began researching this public health issue at the University of Wollongong (UOW). I completed a Master of Science degree (Population Health) in the Faculty of Health and Behavioural Sciences in 2007.This included a research project analysing the Australian Government’s Policy on Whooping Cough. In 2007 I continued my research with a PhD. The University of Wollongong would not provide supervisors in the Faculty of Health for this project. It was recommended that the PhD be completed in the area of Science and Technology Studies in the Humanities because of the politics involved in vaccination policies. In 2008 – 2010 I transferred to the Environmental Science Department at Murdoch University to research and lecture in environmental health issues. I transferred back to Wollongong University in 2011 to complete my PhD investigating the Australian government’s reasons for its current National Immunisation Program (NIP). My PhD includes an examination of the science in the government’s vaccination policy and a critique of the influences in the decision to use an increasing number of vaccines in children. I have 3 children – 2 vaccinated and 1 unvaccinated. My motivation for investigating the government’s vaccination policies was the increase in chronic illness in children that teachers were observing in the nineties as the government continued to increase the number of vaccines on the national immunisation schedule. This correlation is described in the poster that I presented to health professionals at the Australian National Health Promotion Conference in Perth in 2009. Whilst a correlation is not proof of causation it is important that this association is investigated before governments recommend an increasing number of vaccines to children in public health policies. Please note that it has also become necessary for me to address the way lobby groups are using social media websites and the mainstream media to present disinformation about my research to the public. Many of these lobby groups are funded by industry and are promoting industry interests. The information I am providing on this website is academic research for public debate to ensure that decisions made on health are supported in the medical literature. Many lobby groups are disparaging researchers reputations and not debating the scientific issues. This has been documented on the Lobby Group page of my website. This website is set up to present an academic debate of vaccination (free of emotional arguments) and it contains information that will be presented for the completion of a PhD. The information has also been published and presented in peer-reviewed journals and at academic conferences. The science in public health policies should not be selective and consumers must be involved in debating these issues. Whilst the government claims that vaccination in Australia is not compulsory there is pressure placed on parents to use 11 vaccines before a child is 1 year of age. The pressure placed on parents/adults to vaccinate is in the form of financial incentives, childcare places and employment. It is also strongly emphasised that it is each person’s responsibility to vaccinate for the community good. The financial incentive for “fully” vaccinating a child was increased on 1 July 2012 to $2,100. At the same time the government introduced 3 new vaccines to the national immunisation program (NIP) and stated that these vaccines were now necessary to receive the benefit. To choose not to vaccinate (or to selectively vaccinate) and still obtain the welfare benefit parents are required to get a doctor’s signature. In some states since 2014 a doctor’s signature has also become necessary to enrol in childcare centres and for employees to work in some institutions yet doctors are being told by the Australian Medical Association (AMA) that they do not have to sign these forms. In other words, instead of doctor’s requiring parental consent to administer vaccines (a medical procedure) parents are required to get a doctor’s signature to refuse this medical procedure. This is an infringement of our human rights and bodily integrity. In Australia vaccination is not compulsory but the government is pressuring parents to use more and more vaccines without discussing the ingredients of vaccines. The ingredients and the side-effects of vaccines require public debate for inclusion in public health policies yet the Australian public has been excluded from the decision-making process. Like all drugs the risks of vaccines increase with every vaccine that is used and no vaccine can be used without side-effects in some individuals. This website has been set up because there are many community members concerned about the number of vaccines parents are being asked to use in their children and the information that is being provided to the public. I believe vaccination should be a personal choice requiring the individual’s consent after being fully informed of the risks – as is required for all medical procedures. Pressuring individuals to use a medical procedure is an infringement of human rights (the International Bill of Human Rights applies to all countries). Vaccination in Australia should be promoted to the public on the risks and benefits of the procedure and not tied to financial incentives or workplace requirements. In the 1990’s I became aware of the significant increase in chronic illness that was occurring in children. By 2004, 41% of children (0 -14 years of age) had a chronic illness 1. The diseases that have been increasing since the late 80’s include allergies, anaphylaxis, ADHD, autism, coeliac disease, cancer and autoimmune diseases (e.g. arthritis and diabetes). The medical journals and animal studies link the ingredients of vaccines as a cause of these diseases. Although the increase in these diseases correlates to the increasing use of vaccines, the government has not funded research that would prove or disprove this plausible link. The Australian government claims it is a coincidence that these diseases have increased with the increasing use of vaccines but does not provide scientific-evidence to support this statement. 2008 – 2011: Murdoch University (Environmental Science Department) and Wollongong University, research and teaching.